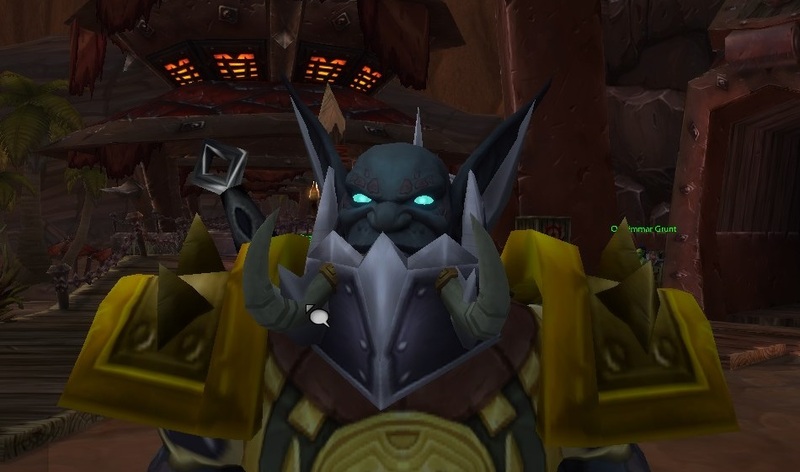 I made a new Zandalari Troll Warrior, specced him Protection and have been dungeon running my way up the levels since Friday. It's been a real blast, doing these half-remembered dungeons with crazy pug groups. I really like the look of the Zandalari, he looks great with just the normal gear you find, none of this stuff is transmog, most is heirlooms. The warrior is perfect for me because I like classes where I can mash 3 buttons while looking at the action at the centre of the screen rather than having to look at the buttons to sequence my rotation. You're meant to use a defensive ability called Shield Block as part of your rotation but weirdly these groups are usually better tanked without using it. Shield Block prevents some damage which means less rage which means less juice to power powerful AOE attacks, mainly Revenge. So I just put three fingers on 4, 5, 6 on the keyboard and mash them without looking. If I'm in trouble I can press 3 or 7 to reduce incoming damage or on the Shift bar I can hit a bunch of cooldowns on long timers. I have 8 of these panic buttons all told but rarely need them. Yeah, I split both of your pints. And? When I need them it's pretty good fun too. I think my last group was trying to break me because they kept adding in groups while I was already tanking a group. 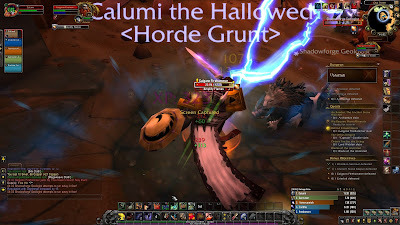 They pulled 3 groups and 2 or 3 patrols in Stratholme which is a lot of ghouls and necromancers and ghosts. I rounded them up, popped all of my cooldowns, even used Intercept/Regeneratin' to try and squeeze out a little extra life while taking massive damage. Just about survived it. Intercept kite tanking is really good if a bit desperate. If I die it's because the healer goofed or someone pulled a big pack at the same time I pull a different big pack but dying as a pug tank is part of the territory as is seeing the dps randomly pull. It's actually very satisfying ripping aggro from suicidal mages and the Warrior is great at it. Let's talk threat for a moment. Most people do normal threat, healers do reduced threat (ie a healed point counts less than a point of damage) and tanks do 350% threat. On top of that at these low poorly balanced (but fun!) levels I'm usually top or second top on damage. So my threat generation is insane, I can aoe five mobs and have more threat on each than a dpser focusing one, even if they all focus different ones. I don't know how I'll get on at max level. 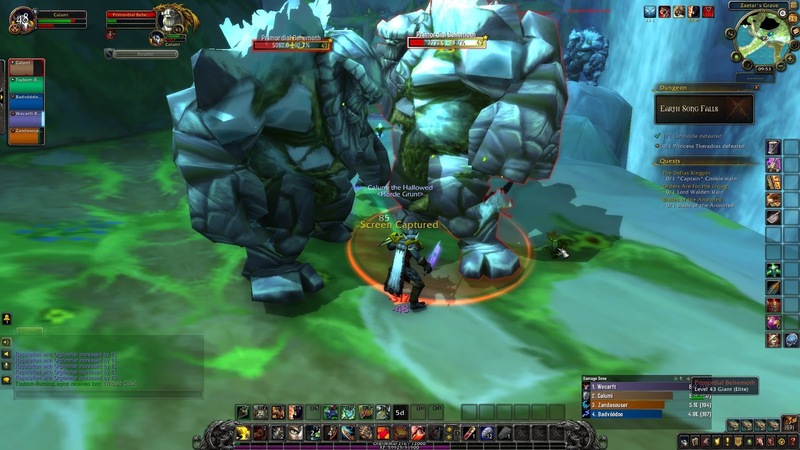 To be honest since I came back to WoW last Autumn I've found the end game a bit daunting with its emphasis on intricate dance steps to avoid dying in end game raids and dungeons. I do feel though that tanking might be a way to master Wow's end game and I'm having a blast so far and doing pretty well. 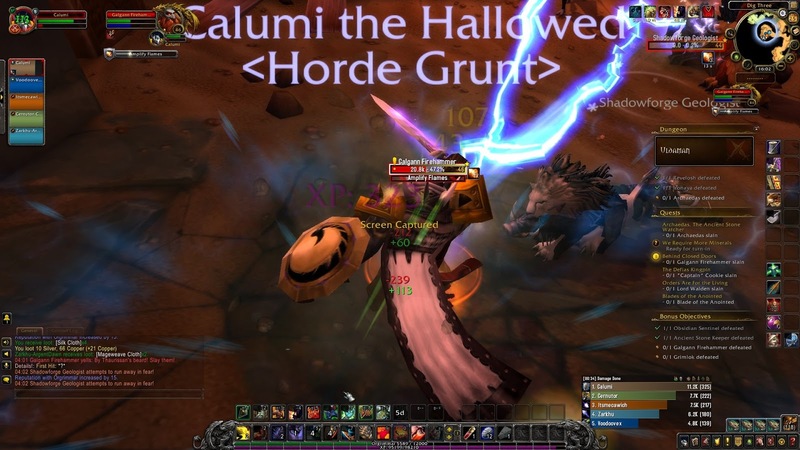 Tanking a boss like a boss. 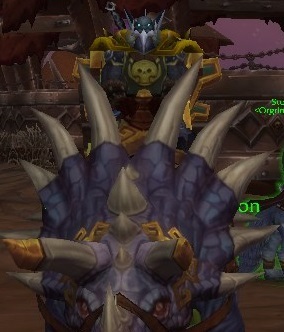 Whether this character sticks for the long term or not I can tell you one thing: if you enjoyed the old days of WoW's Scarlet Monastery, Stratholme, Scholomance and Blackrock Spire you should definitely try one of these new uber-powerful-at-low-levels tanks. It's great fun being powerful.